Manchester United host Paris Saint-Germain in the first-leg of their Champions League last-16 tie on Tuesday night as Ole Gunnar Solksjaer looks to replicate the impact that his caretaker reign has had domestically on the European stage. The Reds have won 10 of their 11 games under the Norwegian’s tutelage to date and face a PSG side that has been depleted by injuries in recent weeks, with key players Neymar, Edinson Cavani and Serge Meunier all sidelined. 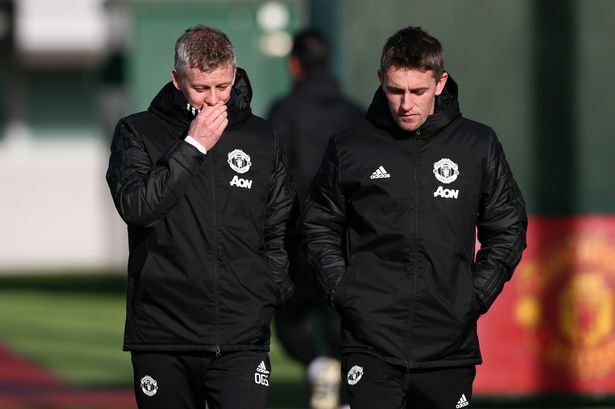 Solskjaer has a fully-fit squad to choose from after Victor Lindelof returned from missing Saturday’s 3-0 win at Fulham, with Marcus Rashford also afforded a breather at Craven Cottage. MEN Sport spoke to United legends Bryan Robson, Denis Irwin and Wes Brown to glean their thoughts on United’s chances of progressing to the Champions League quarter-final for the first time since David Moyes’ tenure. “It is what it is. They [PSG] are a great team. “You look at the strikers they’ve got. They’ve got loads going forward. They’re in their own league. “They beat Guingamp 9-0 but I think that can lead them to a false sense of security. “We saw Liverpool push them at Anfield and really should have won by more. If you get at them, you can disrupt them. “I’m just looking forward to it. “Just before December no one would have thought that we would have a chance. “Now all of a sudden with the way we’ve been playing, the way we’ve been winning, there’s a chance. “It’s two games and it’s definitely achievable. We’ve got the players in the squad to do it.